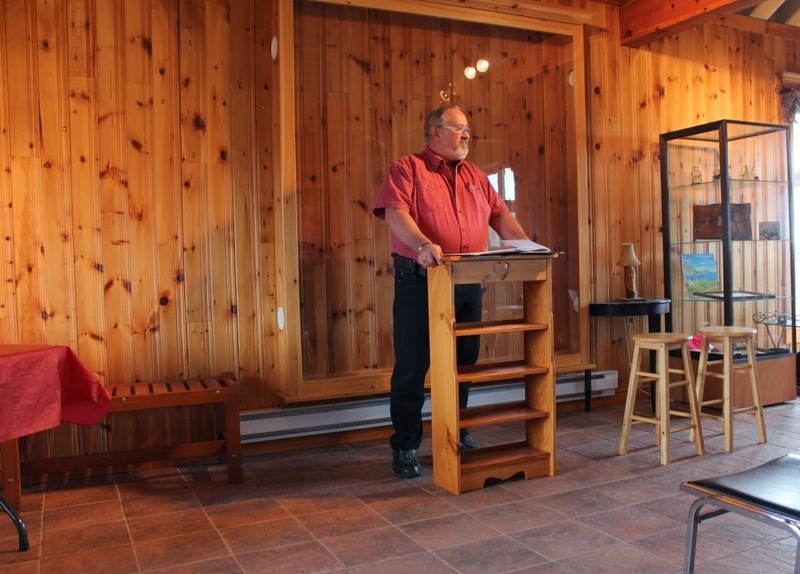 I'm glad to report that we had a wonderful turn-out for the launch of our booklet: Folk Belief and Legends of Bay Roberts and Area. 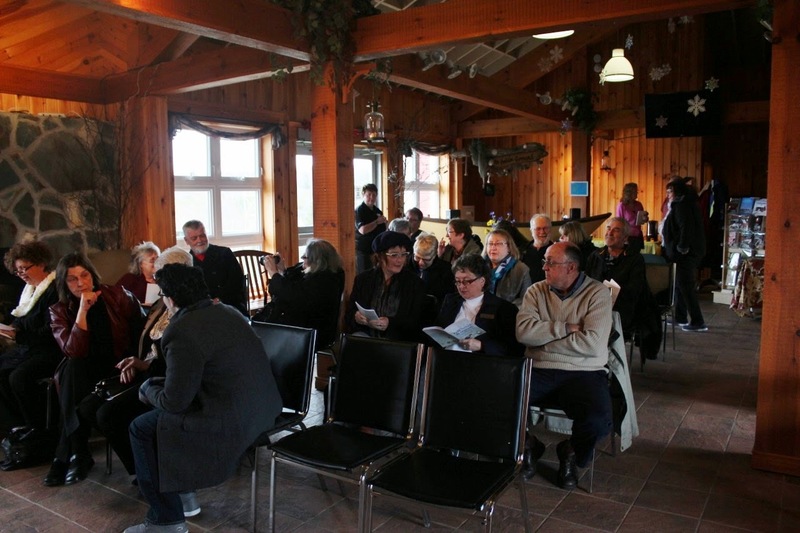 This event took place at the Bay Roberts Pavilion last Saturday, May 3rd. Many people came to celebrate this collaborative project and sat down to hear a few local stories. Special thanks for the thoughtful and generous introduction from Mr. Clarence Mercer (pictured below). 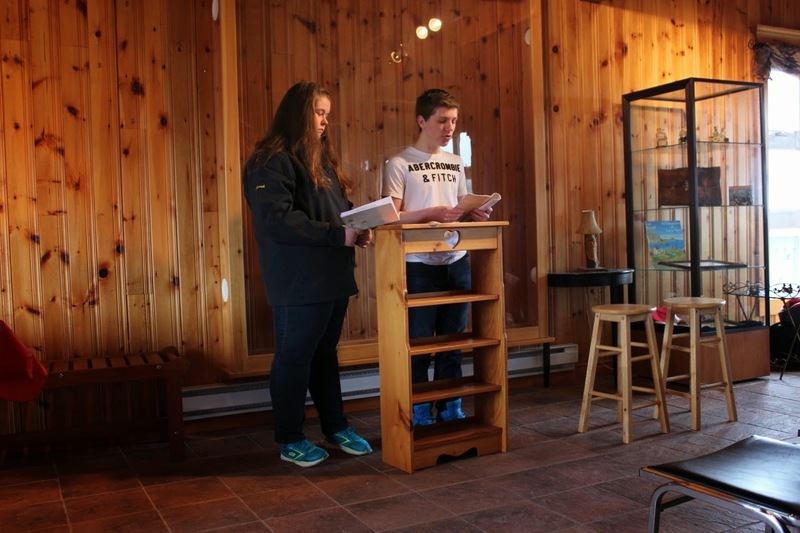 Also pictured are two students from Ascension Collegiate (Sarah Barrett and Josh Russell) who read out-loud selections of their work from the booklet. 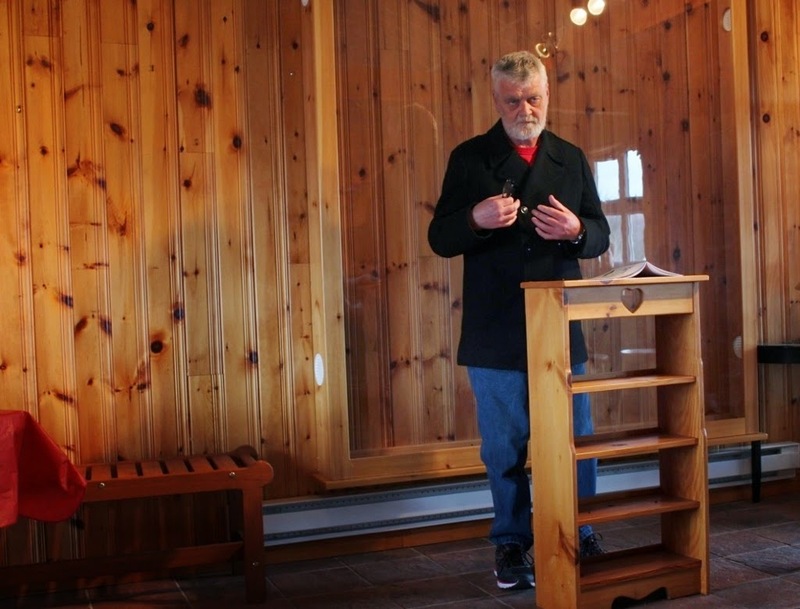 Sarah explained what weather-lights are while Josh told us about a ghostly figure that visits the bridge in Clarke's Beach--a lady that many have claimed to see over the years. Mike Flynn, a local author, was also in attendance. He shared a spooky tale about the devil showing up at a local dance to partner up with a lonely woman. The moral of his tale? Be careful what you wish for! Thank you to everyone who participated in the launch and helped us celebrate this accomplishment. The Bay Roberts Cultural Foundation will be offering copies of this booklet for sale onsite at the Pavilion in the near future. Don't forget to stop in and pick one up! Clarence Mercer introduces Dale Jarvis and I.
Sarah and Josh reading their stories. Some of the people who attended the event. Mike Flynn shares: The Devil at the Dance. Now that this project is all wrapped up, I'm dying to work on another one just like it. As always, we are accepting all of your ghost/fairy stories and other strange tales at the ICH office. Drop us a line!